A totally fun experience for you and your dog to play & burn energy! Looking for some playtime for your dog? Or are you just looking to spend time with your pup while also helping to keep them active? Check out the Woofinwaggle Doggie Zoom Zone dog playground in Raleigh, NC! Our dog play ground area is perfect for your dog to let loose and play on different obstacles and activities. Run, climb, and play in a safe environment that helps with their balance, stability, and maintaining their health all while also burn off some energy. 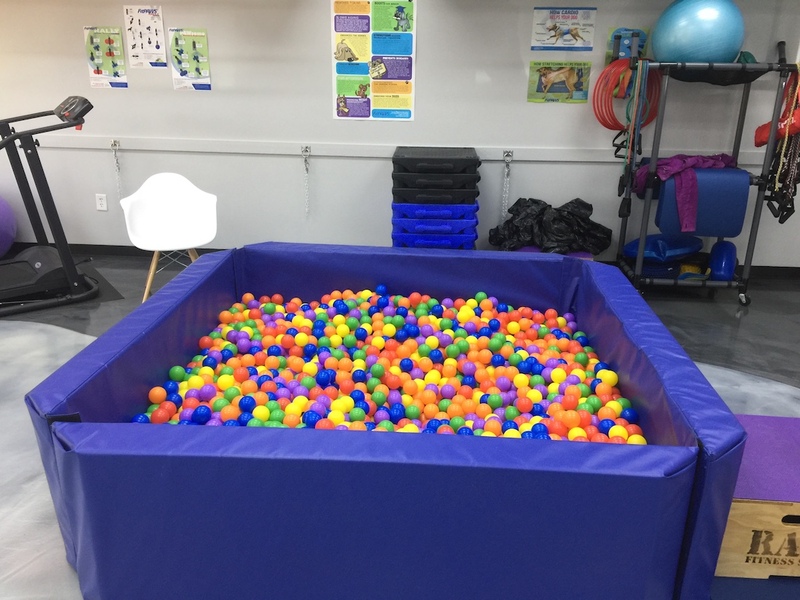 Our fun activity space comes complete with a giant ball pit, a climbing zone, a balance area, tunnels, tents, tug toys, and a more…all for your pup! Are you looking to schedule a dog playdate? Reserve your Doggie Zoom Zone space for your pup and their friends. Check our online schedule to book your playtime today! All playtimes are reserved for a minimum of 15 minutes and by appointment only! Sign Up for Our Doggie Zoom Zone!